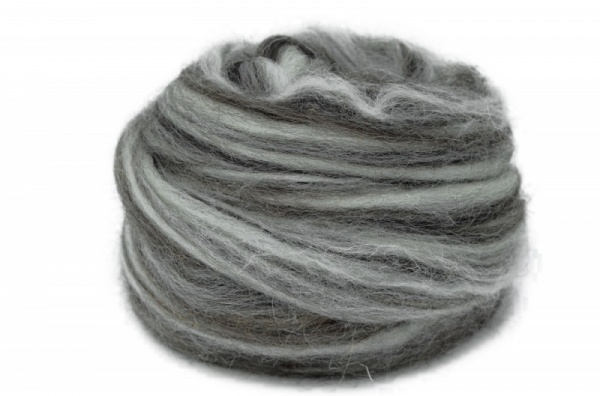 Mixed Jacob colours blended into a wonderful shaded fibre. We take three different shades of Jacob wool and blend them together on-site to create this wonderful fibre. Once spun it gives a very pleasing effect as each of the colours mix together in the ply.